Once again, OK Go has an innovative video. Naturally, how many pieces of Toast? Answer is here. Bonus: Did they use both sides of the bread for the drawing? Did they reuse any blank toast? How long would it take to toast all the pieces at setting 8? 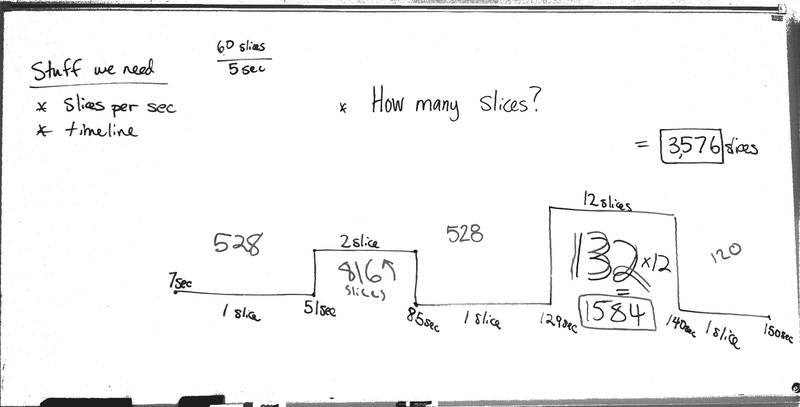 Class number two had 4300 slices as their guess. The only difference they had were how many slices in one second. Good thought followed up with why our calculations overshot the real answer. I knew toast was cool! Just knew it!